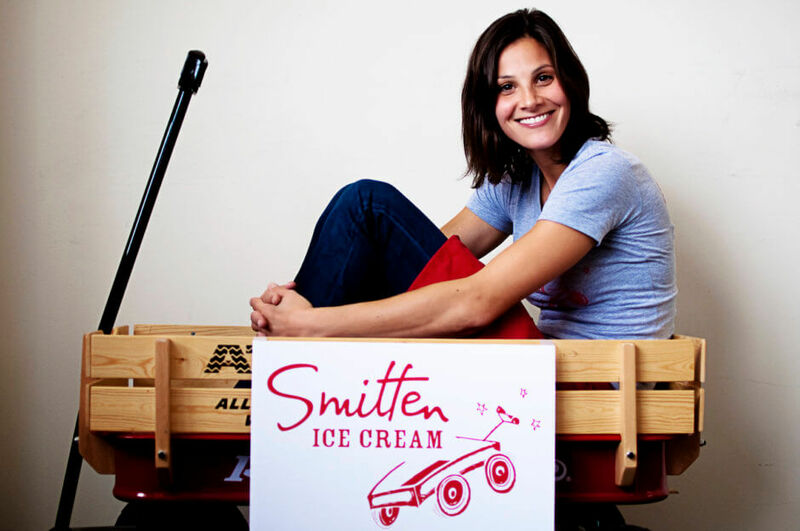 “In 2009, Robyn Sue Fisher, a lifelong ice cream freak with an MBA from Stanford University, started selling her Smitten Ice Cream out of a Radio Flyer wagon in San Francisco. It was a nerdy product that fused nostalgia and science: Her homemade ice cream was made to order, flash-frozen at the time of sale with liquid nitrogen in her own ice cream machine that was powered by a battery pack she built out of an old motorcycle battery. Using social media, Fisher alerted her fans to the flavor of the day and the wagon’s whereabouts. Soon, she was attracting huge crowds. Thanks to the smaller-sized crystals achieved with liquid nitrogen, the ice cream was ultra-creamy. Because it was made and consumed on the spot, there was no need for stabilizers to junk up the recipe. Today, Fisher presides over a half-dozen Smitten Ice Cream shops in the Bay Area and Los Angeles with more than 120 employees. By year-end, she plans to have 10 shops in operation, with more on the drawing board for 2017. It took Fisher four years to turn a profit, but now that the business is finally starting to take off, she is struggling with a classic entrepreneurial dilemma: how to manage growth, while preserving a free-wheeling startup culture and maintaining the quality and integrity of the product. Her high tech “brrr” machines, which cost $2 million to develop and perfect, hold four different patents, and she’s presently building 26 new ones. Each new shop is unique, costing $400,000 to $500,000 to design and build. As the company contemplates each new round of expansion, Fisher sits down with her VP of Operations to discuss how many stores they can comfortably open, without compromising quality, and whether they have the appropriate talent in place. Fisher gives all of her managers stock options. Read Robin Schatz’s full article for Forbes here: How San Francisco’s Smitten Ice Cream Outgrew Its Wooden Wagon But Not Its Values.